Trinity Buckingham’s Faith Hall has a spacious, modern kitchen featuring all necessary appliances for food preparation and clean-up, ample storage for food and beverages, as well as convenient direct outside access for easy loading and unloading of goods. Faith Hall encourages you to use the caterer of your choice. You work with your caterer to create your party just the way you want it. 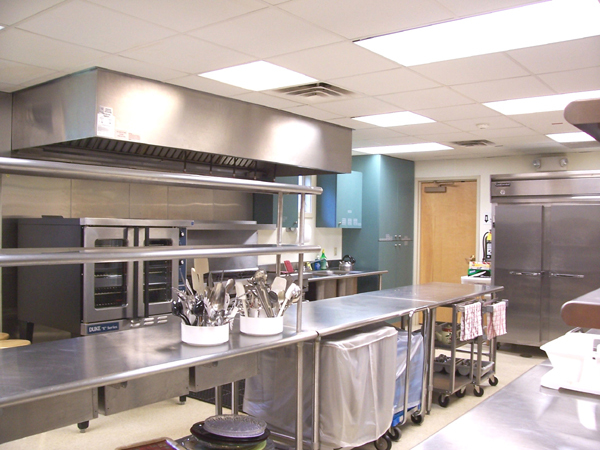 Caterers– must meet our insurance requirements and certifications per Pennsylvania State. For “drop off catering” the caterer/restaurant must meet all insurance requirements. Alcoholic beverages are permitted, as long as the caterer/client has the proper insurance. Sale of alcohol is prohibited. Eligibility – Applicant must be at least 21 years old. Fees – Call the Facilities Coordinator for details. Fees are based on 4 hours rental period plus agreed upon preparation. Security Deposit – There is refundable security deposit required, in addition to the rental fee. The deposit will be returned provided there are no damages. Refunds – cancellation policy is 1 month before scheduled affair. The cancellation policy is detailed in our Facility Rental Contract. Reservations – A deposit of $150 must be submitted with the application to reserve the facility. Twenty one (21) days prior to the event, the total is due. Insurance – Certificate of Insurance are required of all caterers. If the certificate is not received at least fourteen (14) days before the event, the reservation will be canceled without refund. Tables & Chairs – Set up and cleaning can completed by Trinity. Please call 215 794 7921 for complete details and suggested set up diagrams. Faith Hall accommodates 166 people seated at round table.